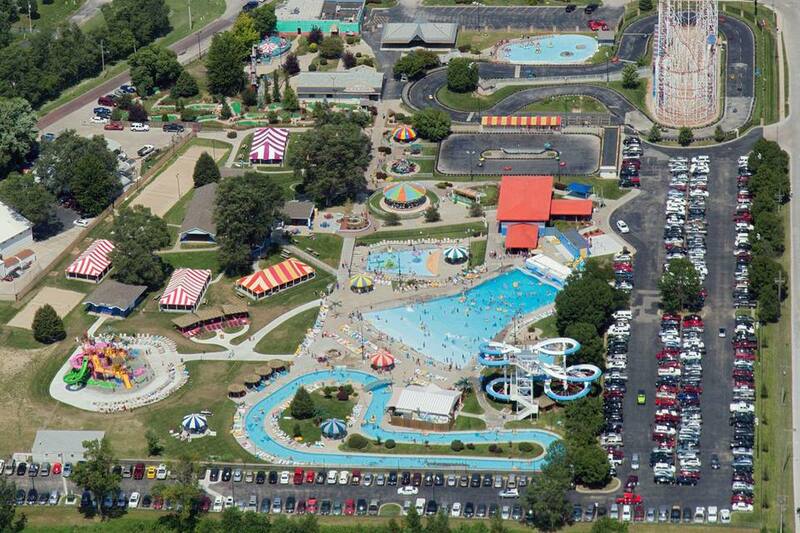 There are not many amusement parks or water parks in Nebraska. And the ones that are there are not particularly large. For major parks with huge, mega-thrills roller coasters or loads of water slides, you'd have to head to other states. Nebraska parks are listed in alphabetical order. Amazing Pizza Machine offers go-karts, bumper cars, spinning rides, laser tag, a huge arcade with redemption games, bowling, a VR game, and (of course) pizza and other food served buffet style. AquaVenture is a small municipal park with a water play station, a raft slide, a wave pool, a water walk, and areas for young children. Although its owners call it an "amusement park," Boulder Creek is not one in the traditional sense. Instead of roller coasters and ferris wheels, it offers two mini-golf courses, a climbing wall, and batting cages. At 65,000 square feet, CoCo Key is a medium-sized water park. Attractions include a lazy river, an interactive water play center with small slides and a tipping bucket, and a few water slides. The park is open to registered guests of the attached Ramada Plaza by Wyndham hotel as well as to the general public. A small facility within the state park, the outdoor aquatic center includes a wave pool, water slides, a small interactive water playground, and a zero-depth pool. Other activities include mini golf, ice skating, horse trails, and a theater. The small water park offers the Motion Ocean wave pool, Typhoon Falls water slides, a lazy river, the Makana Splash water play center, and a kiddie pool. The "dry" amusement rides at Fun-Plex include The Big Ohhhhhh! roller coaster, a small Ferris wheel, a Tilt-A-Whirl, a carousel, and some kiddie rides. It also offers go-karts and bumper boats. Admission includes the water park attractions as well as the amusement park rides. Island Oasis is a small, municipal water park park with speed slides, a lazy river, water slides, and a kids area. SkateDaze offers roller skating as well as a few attractions such as laser tag, a bounce house, a PlayDazium play structure, a kiddie coaster, and a snack bar. It is open year-round. If you are looking for more coasters, water slides, and other parks, here are some resources to find nearby fun places and make travel plans. In the early 1900s, folks in Nebraska could find the Figure 8 and Jack Rabbit roller coasters at Capital Beach Park in Lincoln. It closed in the 1930s, however. Krug Park in Omaha also offered two coasters, the Figure 8 and the Big Dipper. It also operated in the early 1900s and closed in 1940. Peony Park, also located in Omaha, lasted longer. It opened in 1919 and closed in 1993. A small park, Carter Lake Kiddieland, offered a kiddie coaster called the Little Dipper when it operated in the mid-1900s. It was located in Levi Carter Park in Omaha.